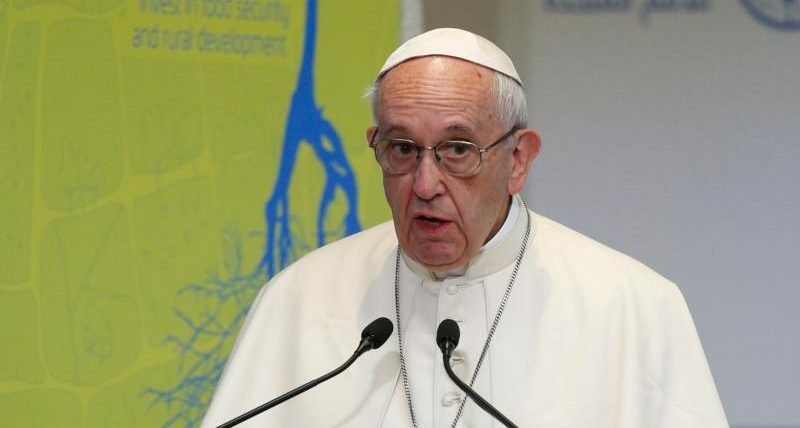 VATICAN CITY (CNS) — Christians who do not really listen to the word of the God and are only concerned with outward appearances are corrupt and idolatrous, Pope Francis said. Foolish men and women believe they listen but instead do their “own thing always” and they transform the word of God with their own “concept of reality,” the pope said Oct. 17 during his morning Mass at Domus Sanctae Marthae. “Oh you Pharisees! Although you cleanse the outside of the cup and the dish, inside you are filled with plunder and evil,” Jesus said. Those who criticized Jesus, like the Pharisee in the Gospel, were “corrupted by vanity, appearance, by exterior beauty and justice,” the pope said. Christians today also are at risk of thinking this way, which leads them to become “ideologues of Christianity” rather than true followers of Jesus, he said. “Jesus weeps with this longing, he wept over Jerusalem: it was his longing for a people whom he chose, whom he loved, but they went away because of foolishness, they preferred appearances, idols or ideologies,” Pope Francis said.